Some with sugar, some with blood. And spill my grains at Hades’ grave. But a gorgeous rising in their gorge. 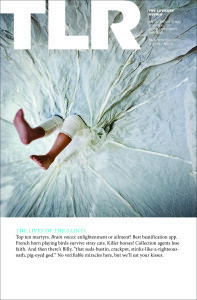 “A Fifth To Redden” was originally published in The Lives of the Saints (TLR Fall/Winter 2011).